Washington: The United States has cleared the sale of 22 predator Guardian drones to India, governmental sources said on Thursday, a deal being termed as a “game changer” ahead of Prime Minister Narendra Modi’s visit here for his maiden meeting with President Donald Trump. The deal, estimated to be worth USD two to three billion, has been approved by the State Department, sources said. The decision has been communicated to the Indian government and the manufacturer by the State Department on Wednesday, according to the informed governmental sources. 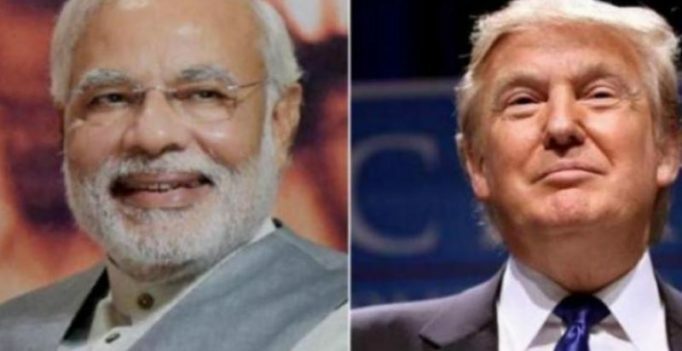 “This is the first very significant sign of the Trump administration being more result oriented in its relationship with India compared to Obama administration,” a source told PTI. The sources, who requested anonymity as the deal has not been formally announced, said the sale of 22 predator drones being manufactured by General Atomics is “a game changer” for US-India relations as it operationalises the status of “major defence partner”. The designation of India being a “major defence partner” was decided by the previous Obama Administration, and formally approved by the Congress. The State Department and the White House did not immediately respond to the questions in this regard. An official announcement is expected soon. 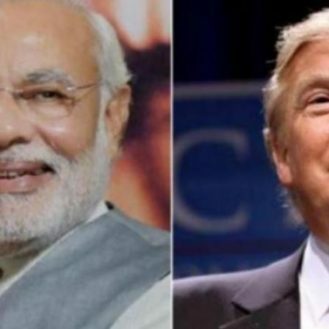 Modi’s first meeting with Trump has been scheduled to take place at the White House on June 26. According to General Atomics, the Predator Guardian UAV, a variant of the Predator B, can be used for wide-area, long- endurance maritime intelligence, surveillance and reconnaissance missions. It can stay in the air for up to 27 hours and can fly at maximum altitude of 50,000 feet. The Indian Navy made the request for this intelligence, surveillance and reconnaissance (ISR) platform last year. US Aerospace expert Dr Vivek Lall of General Atomics who was pivotal in India acquiring Boeing P8 ISR technology, is believed to have played a key role in fast tracking the decision-making process of the Trump administration. A script for the film ‘Breakfast at Tiffany’s’ owned by the iconic actress Audrey Hepburn is displayed at Christie’s auction house in London, Friday, Sept….